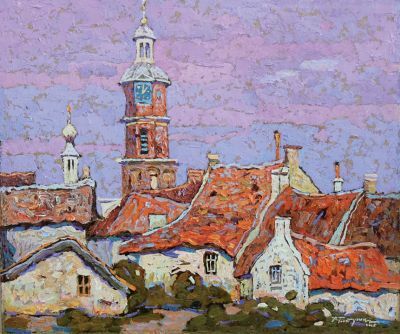 SOLD 39 3/8" x 43 1/4"
He was born in the Crimea (Ukraine) in 1981. 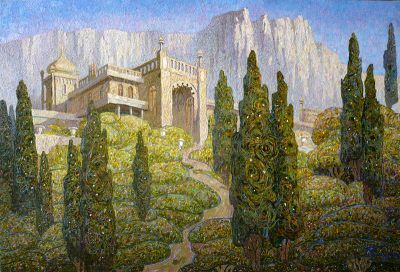 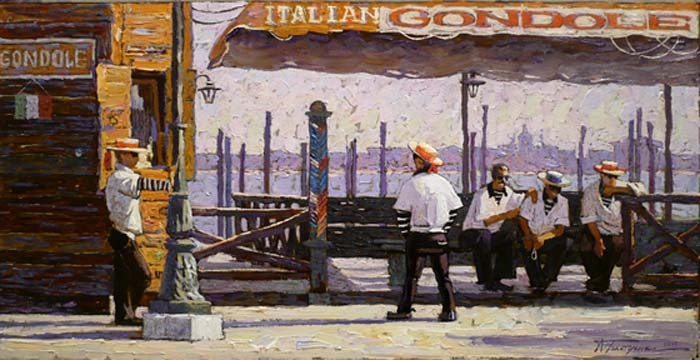 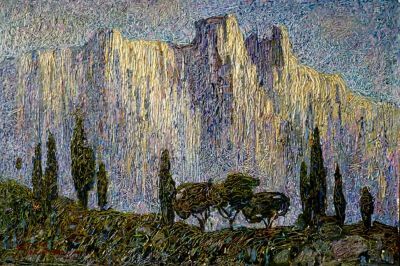 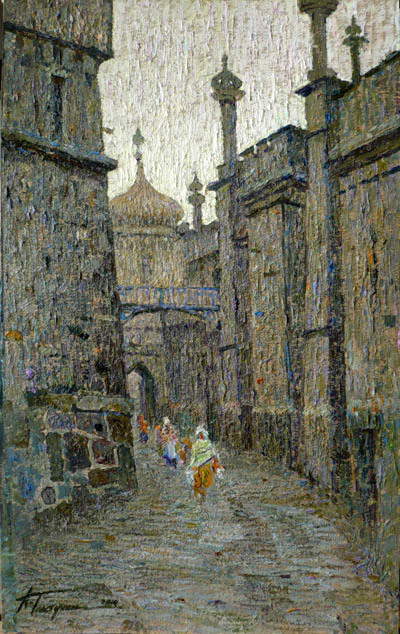 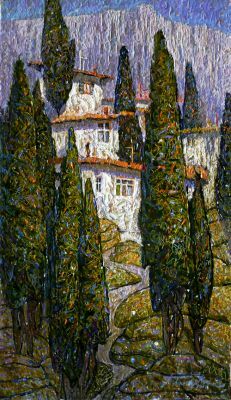 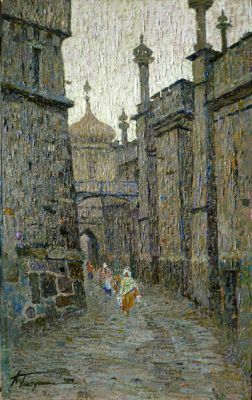 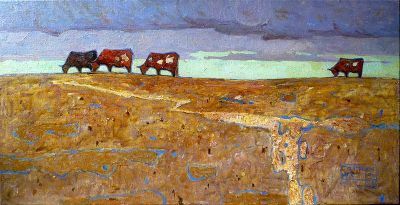 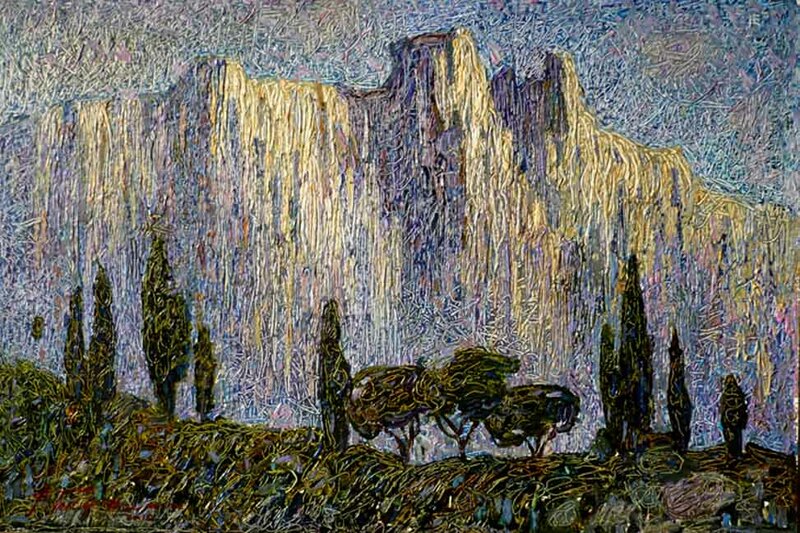 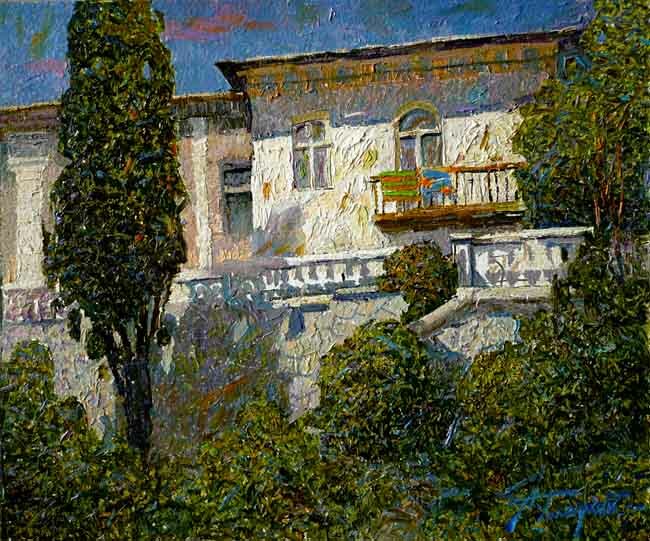 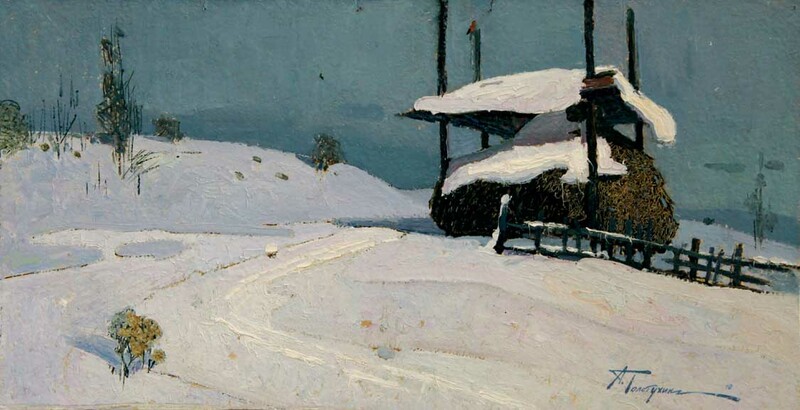 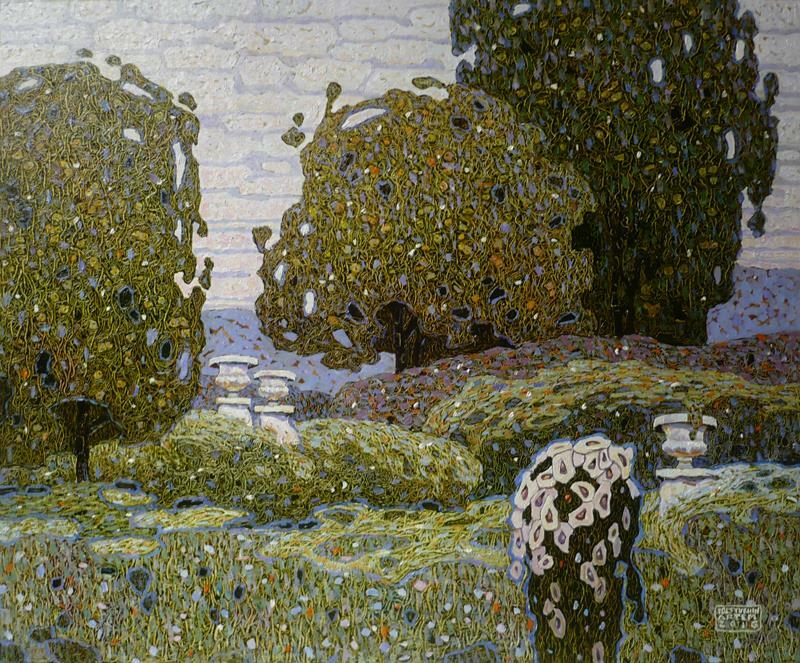 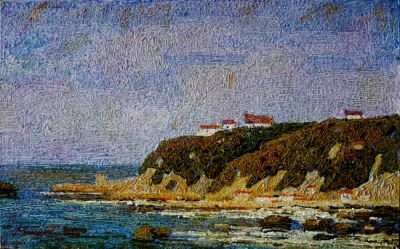 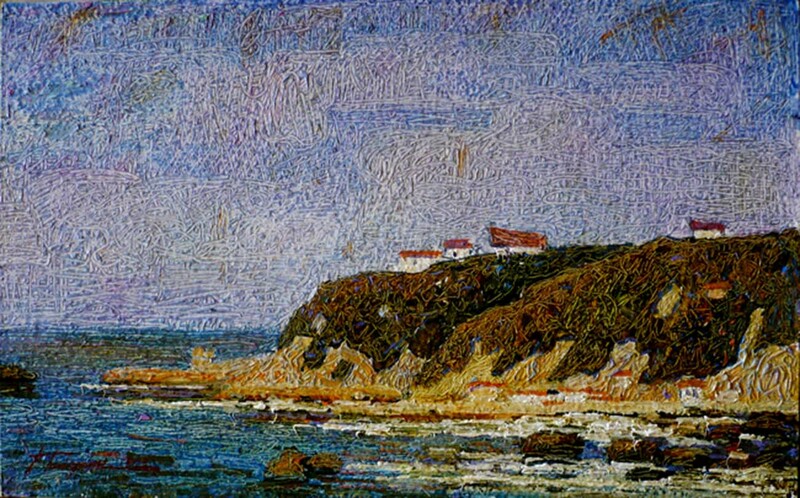 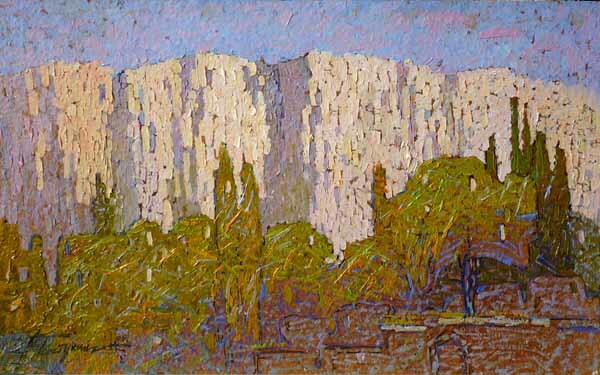 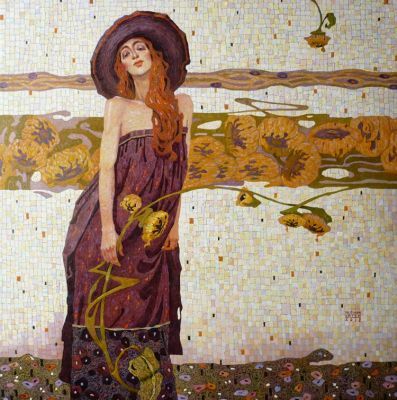 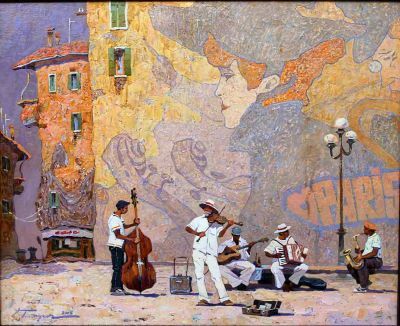 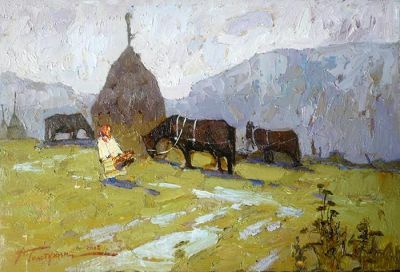 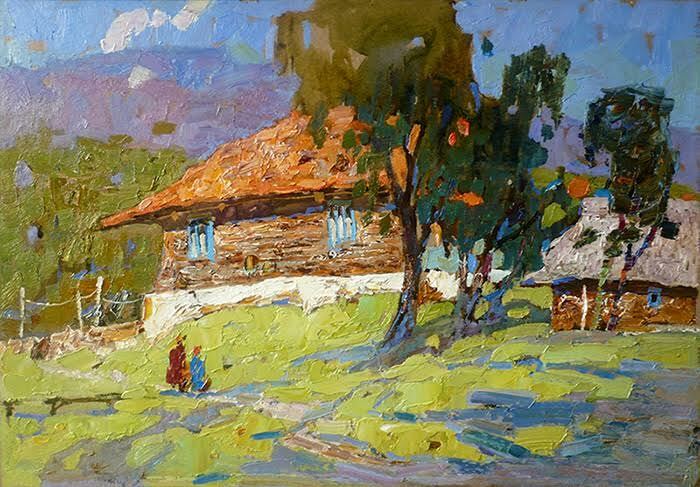 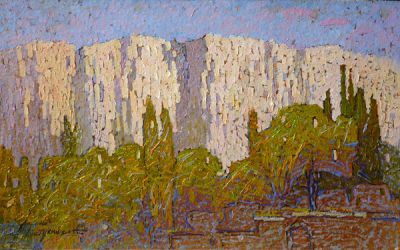 He graduated from the famous Simferopol Art Institute named after A. Samokish. 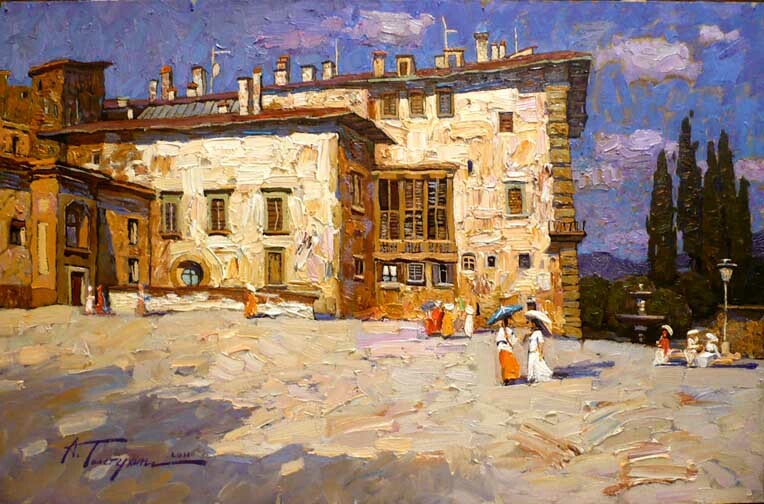 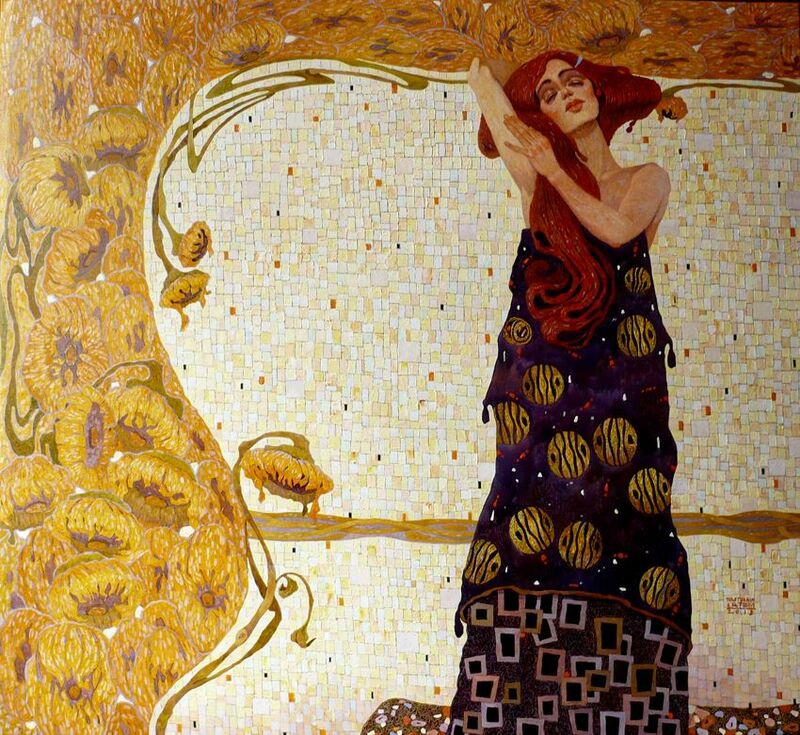 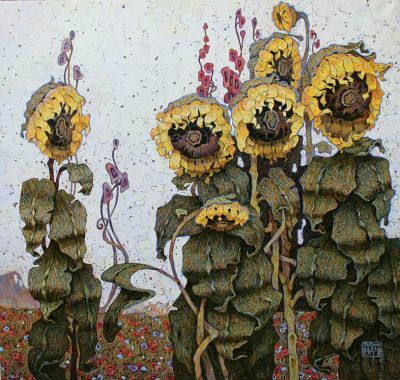 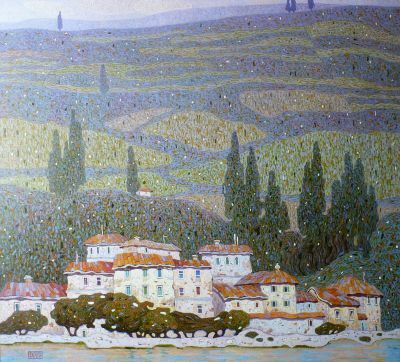 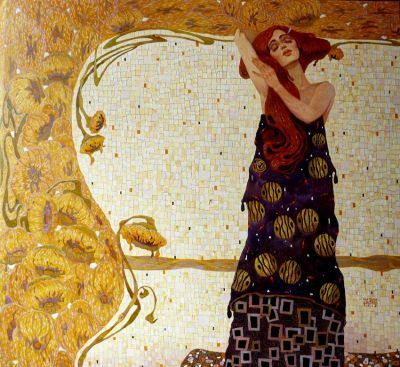 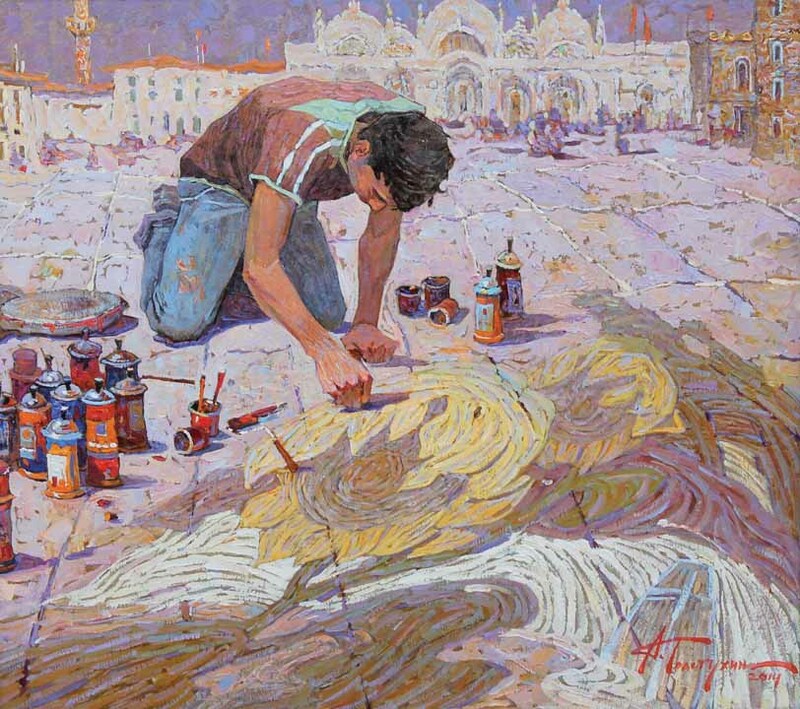 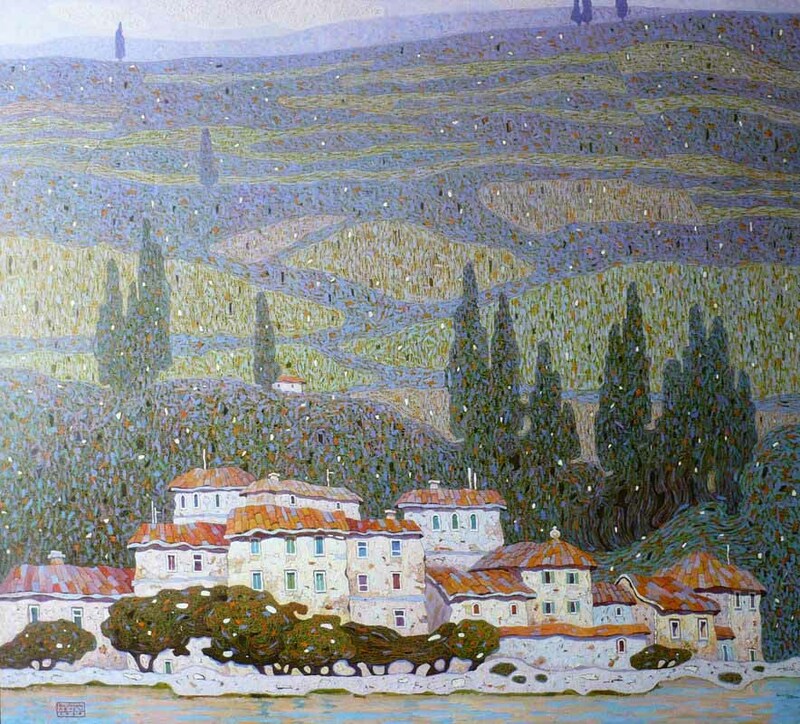 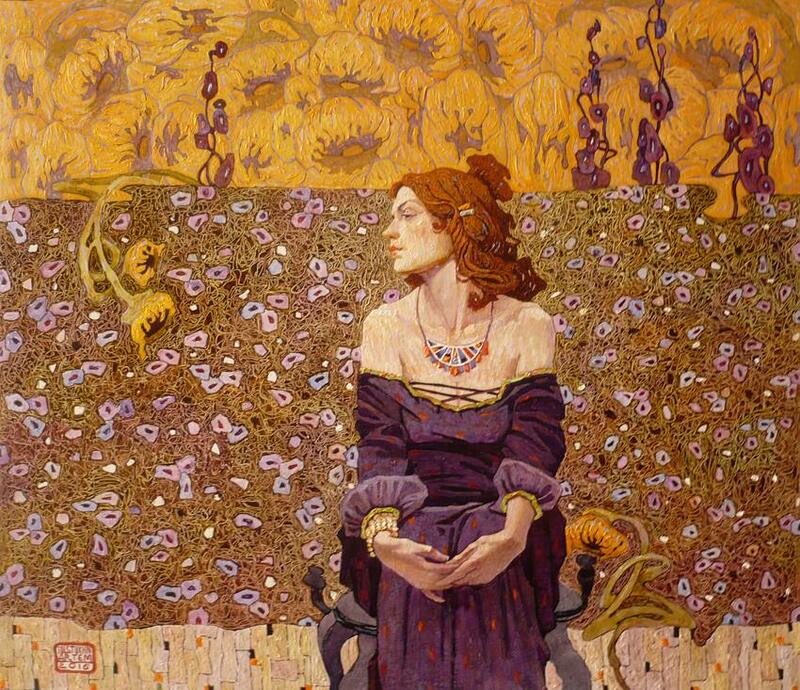 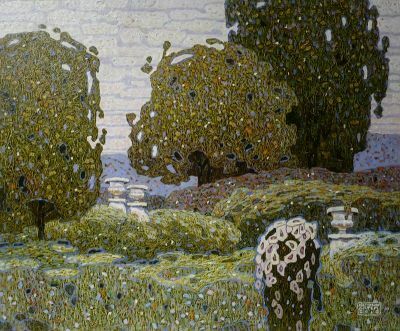 In 2006, he was accepted at the Kharkov Academy of Design and Arts, Restoration department. He graduated from the Academy in 2011. He is a member of the All-Ukrainian Young Artists Union since 2008. 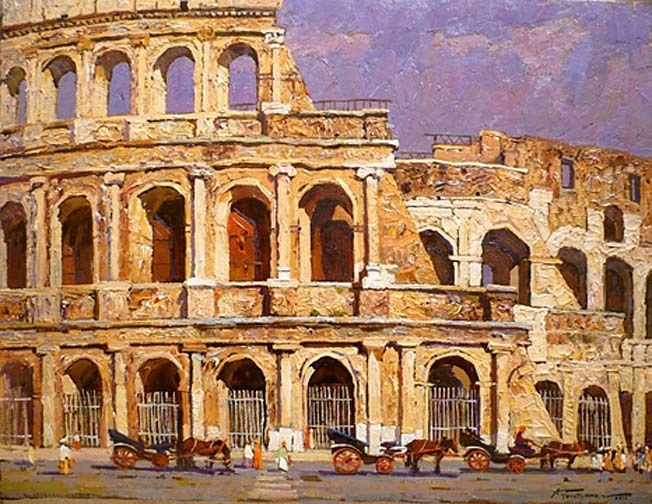 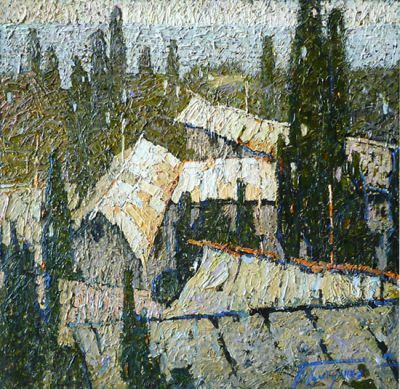 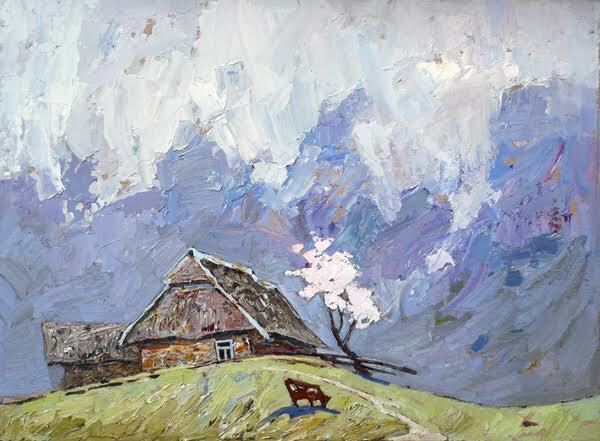 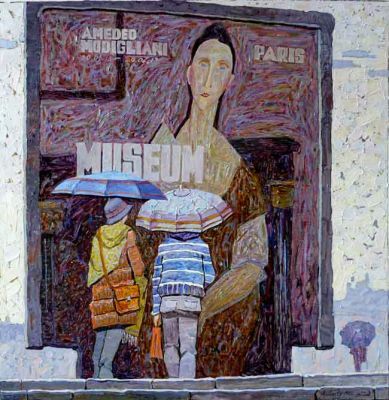 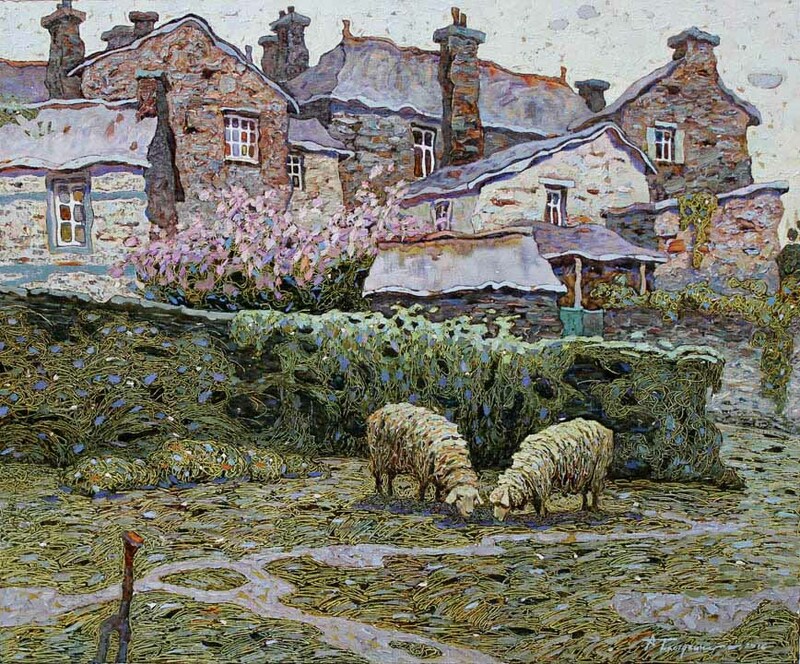 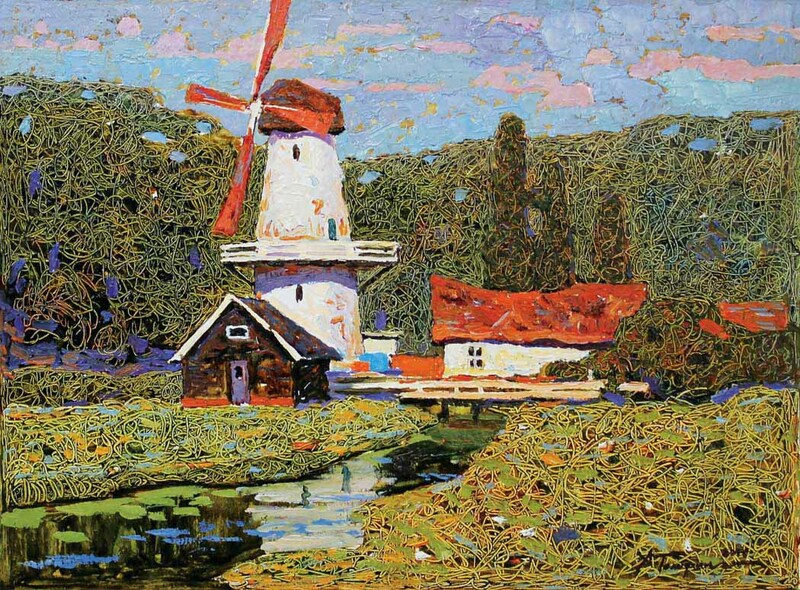 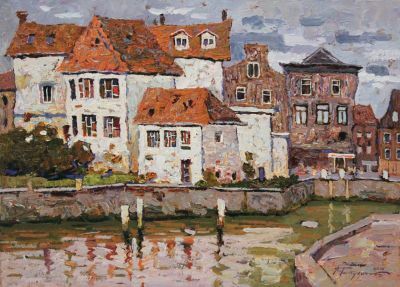 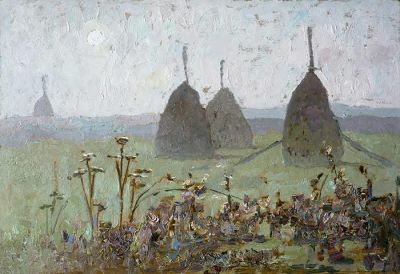 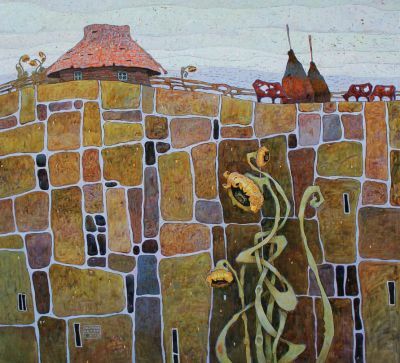 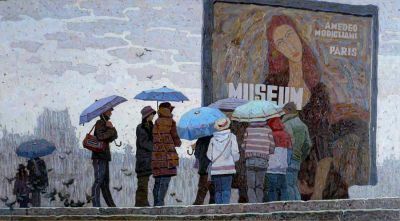 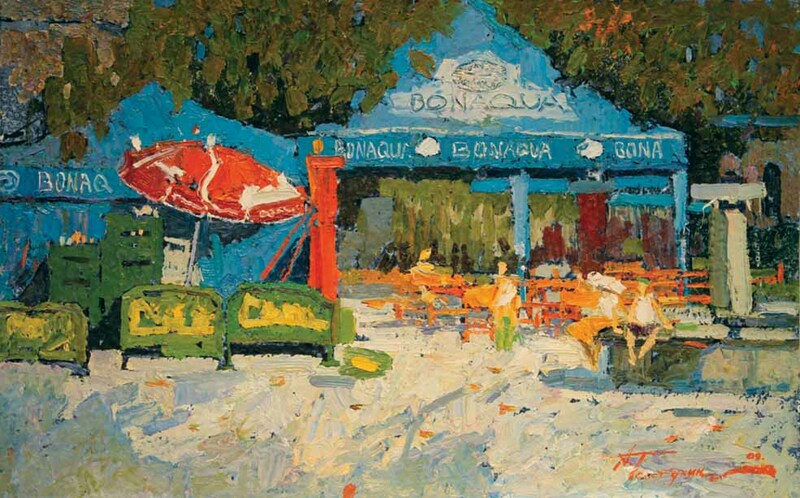 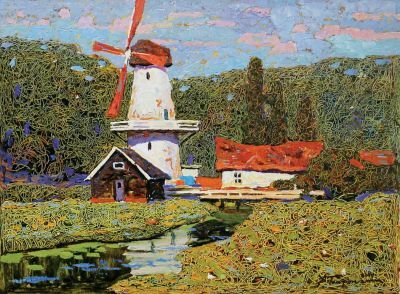 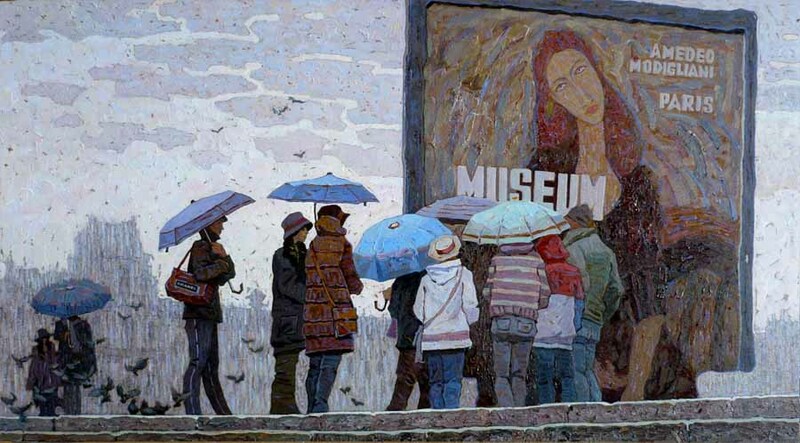 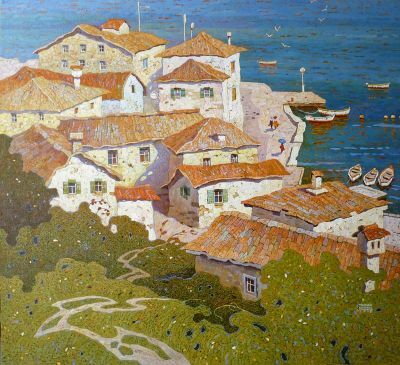 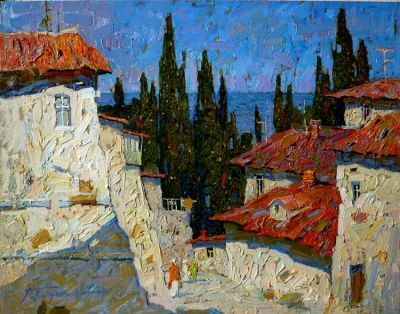 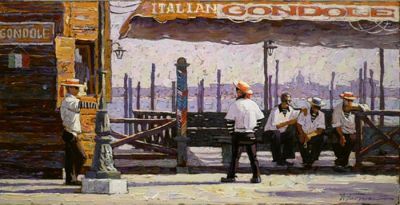 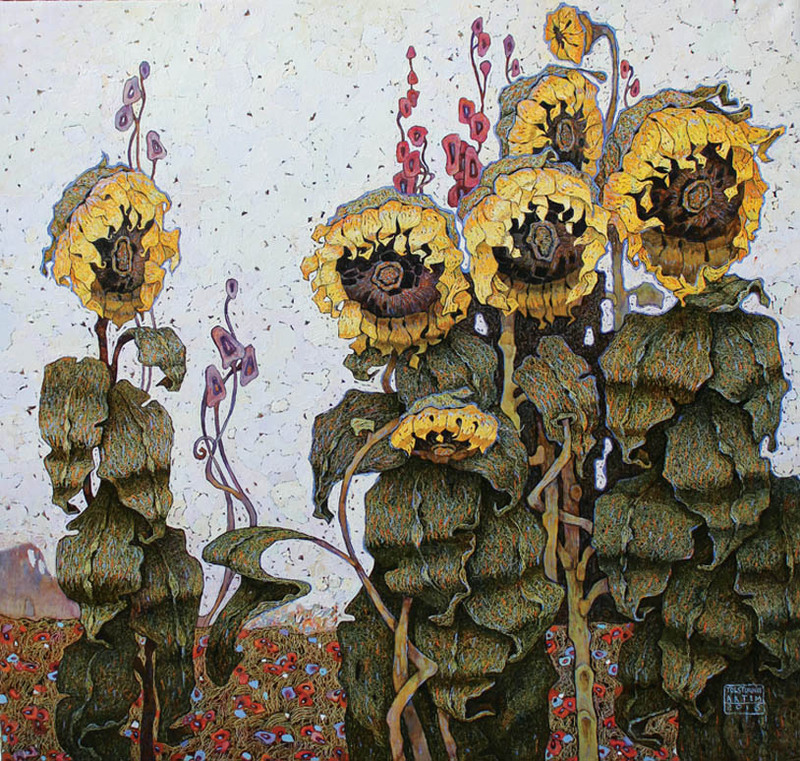 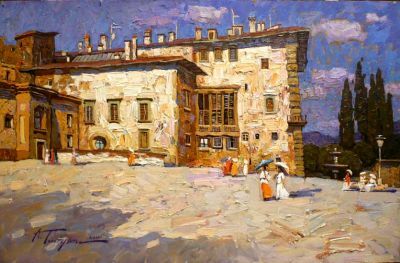 He participated in multiple Ukrainian exhibitions of young artists including the "Exhibition of Young Kharkov Artists″ in Gallery Maestro in 2011. 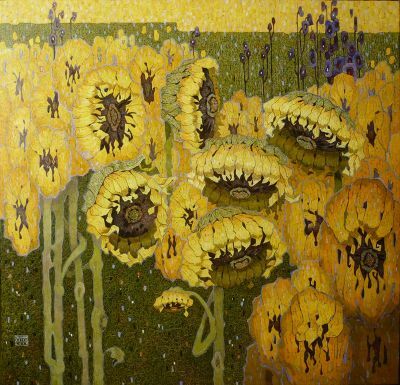 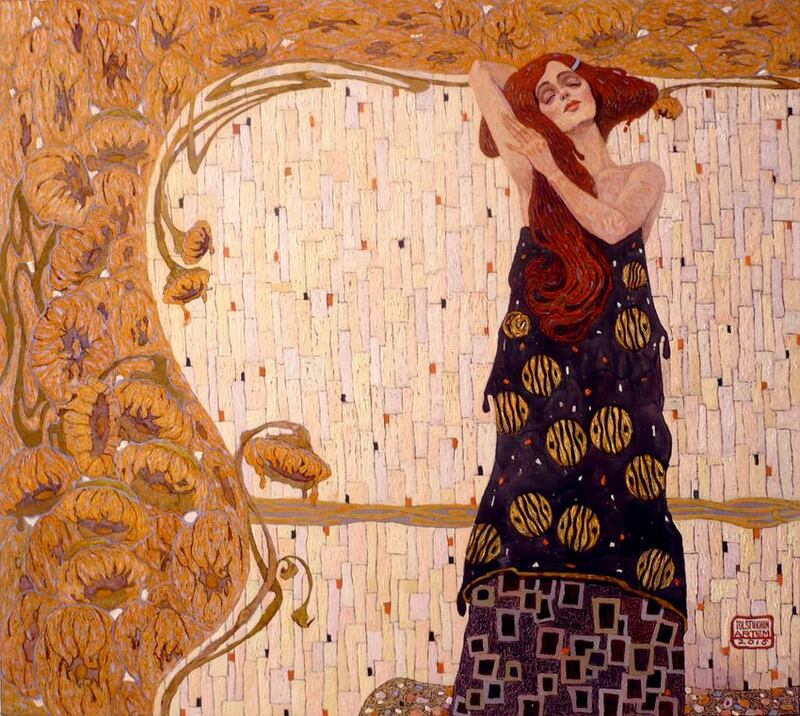 Artem′s works can be found in private collections within Ukraine, Russia, Germany, France and the United States. 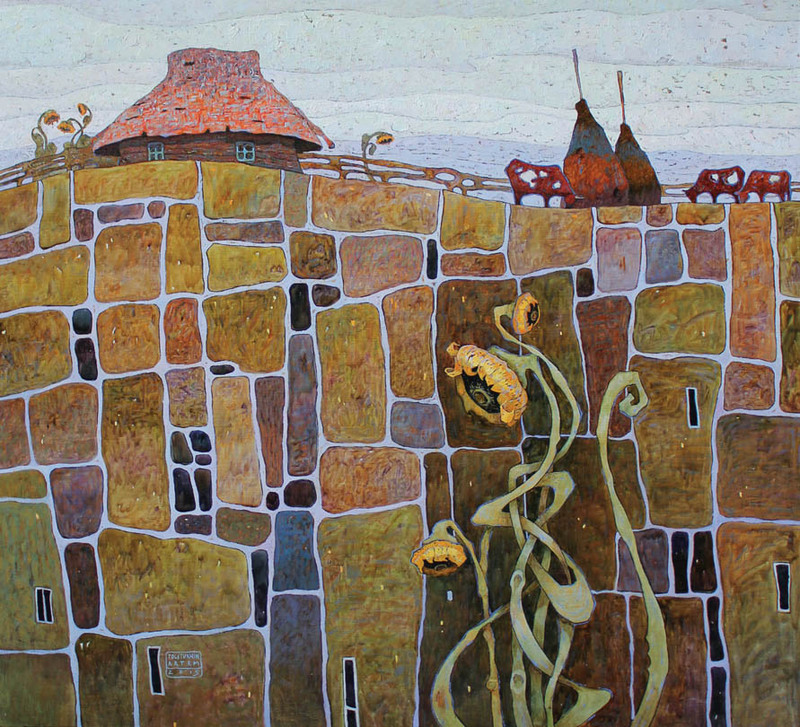 He has made a series of murals and participated in the restoration of several churches in Ukraine and Russia.